We have been talking about a movie many of us have watched called "A Dolphin Tale". It is an inspiring story about a dolphin who was rescued by a boy and taken to the Clearwater Aquarium in Clearwater, Florida. 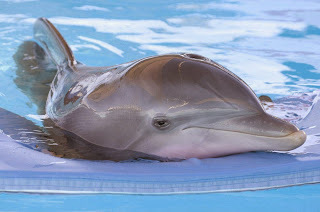 Here is a link where you can go to read about Winter the dolphin.